The following lists are designed to provide you with some general information regarding what to pack before you leave your home. But be sure to coordinate with your roommate(s) to eliminate duplicate items in the room. If you are unsure about whether a certain item is permitted, please email Housing Services or call at 412-268-2139 before bringing it to campus. Can't bring it all the way to Pittsburgh? What's Already in the Room? 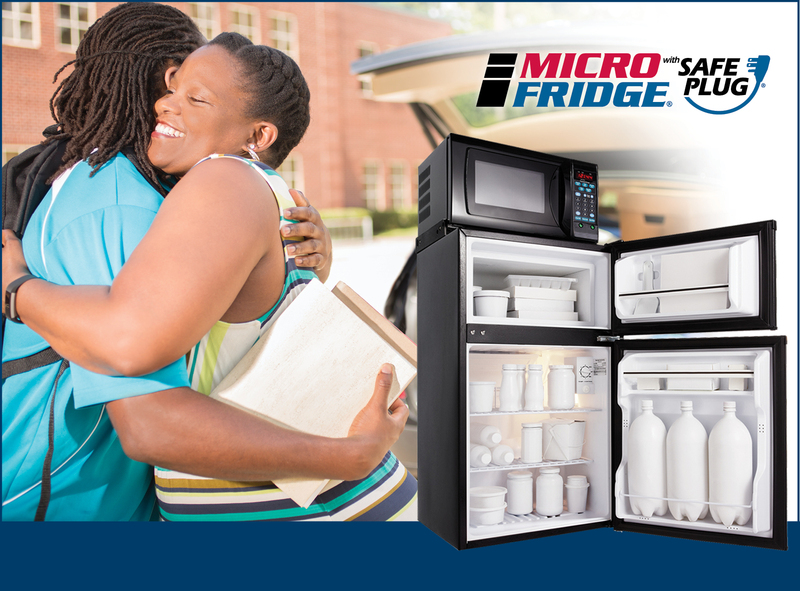 Microfridge units are also available for rent through Microfridge Rentals. Carnegie Mellon’s Student Dormitory Council (SDC) and the University Stores have teamed up with Bed Bath & Beyond to make your move-in day easier. Order your room essentials and extras by July 31 at bbby.com/cmu to have your items delivered directly to your room by SDC before you arrive! Be sure to go to the special CMU site, not the regular Bed Bath & Beyond site, if you want in-room delivery. (The special delivery address at our Penn Avenue facility will auto-populate only on the special CMU site.) Orders placed after July 31 will be delivered through the regular campus package process. Plan to shop at the Bed Bath & Beyond pop-up store on Move-In Day for any of your “last minute,” “left at home,” and “too big to travel” items! If you're traveling from far away, you're welcome to mail some of your belongings ahead of your scheduled arrival. Carnegie Mellon's Post Office will begin accepting student packages no earlier than mid-August. More information on how to properly address your mail and where and when to send it can be found on the Postal Services website. For any additional questions, please email Postal Services or call them at 412-268-5616.